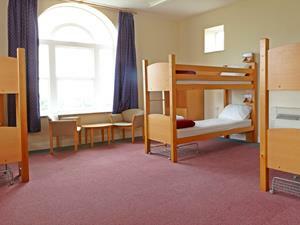 Jersey Accommodation and Activity Centre01534 498636work Tourist HostelThe centre is in a rural location set above the bustling harbour area of Gorey. Free parking available on site with local bus stops a 6-8 minute walk away. Set amongst it's own green areas, the centre boasts a sports/playingfield,bushcraft field, indoor teaching facilities, meeting rooms and a dining room. The grid shows the prices and daily availability from Fri 26 Apr 19 to Sun 5 May 19. It's easy to check availability for particular dates; just use the calendar to choose the check in date, select the number of nights and click the 'Search' button. Click the Book or Reserve button to book the highlighted days. With Book the bedroom booking will be confirmed immediately, with Reserve the bedroom reservation will be confirmed within 24 hours..